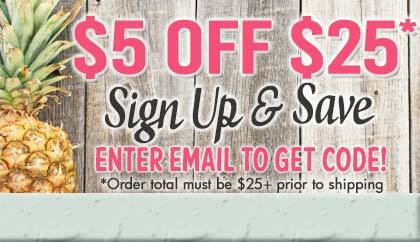 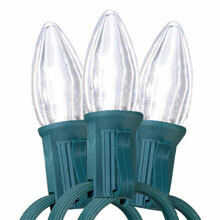 C7 style outdoor party string lights in white, warm white, red, blue, green, multi color and purple colors. 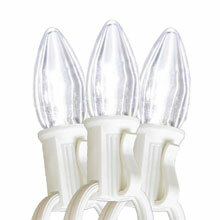 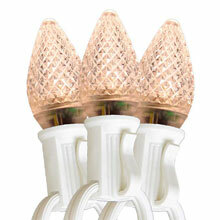 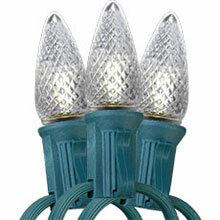 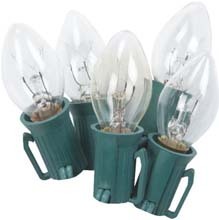 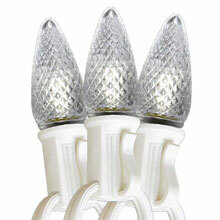 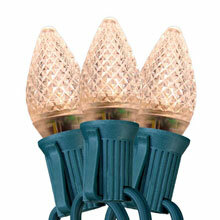 These lights can be used for patios, walkways, Christmas C7 Lights, roof lines, houses and several other applications. 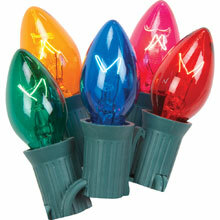 Use these string lights in your business establishment or home. 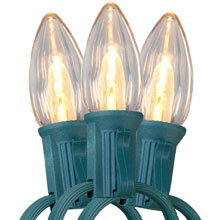 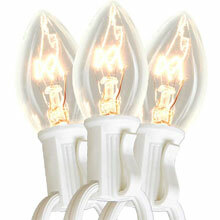 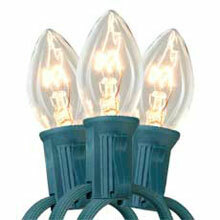 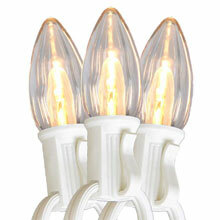 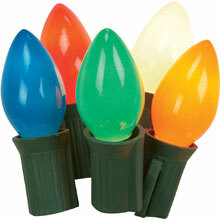 C7 lights are the larger traditional style Christmas lights that were very popular in the 1950's.